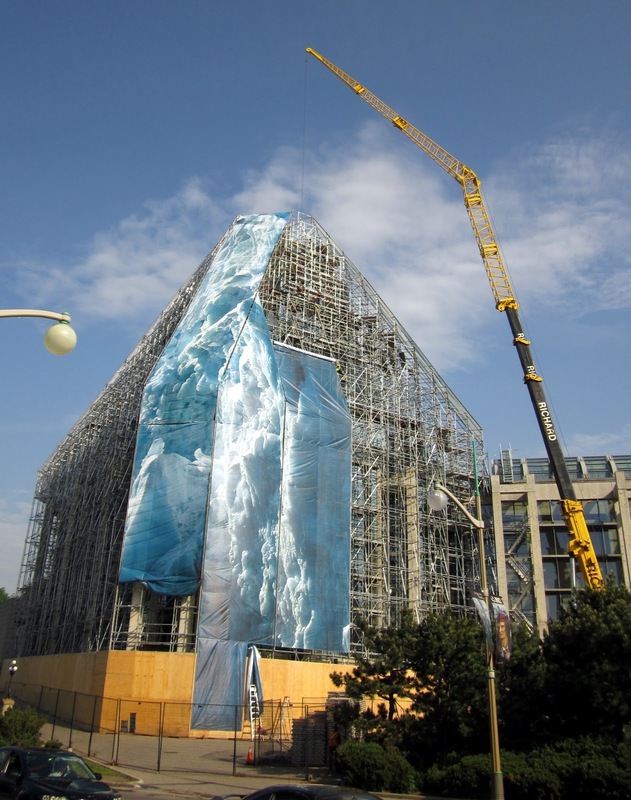 Every day I walk past the National Art Gallery on my way to work, and every day I have been watching one part of the gallery become amazingly transformed. The National is undergoing major repairs on the section that houses the grand hall, and the work has been taking months already and will go on until the end of the year. To make these repairs, the workers installed a massive network of scaffolding outside the building - which was pretty cool to watch. And then, something special began to happen. They started to put up these massive tarps over the scaffolding. And they put up more tarps and more tarps. 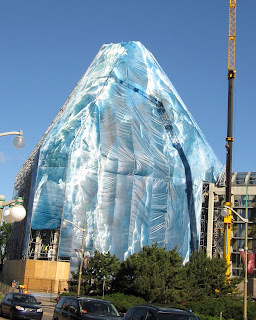 These massive pieces they have put up show parts of a waterfall - all blue water and white spray in a continuous picture as the pieces go around the scaffolding. So eventually the whole building will look like one great huge waterfall cascading down. It is really spectacular to see. 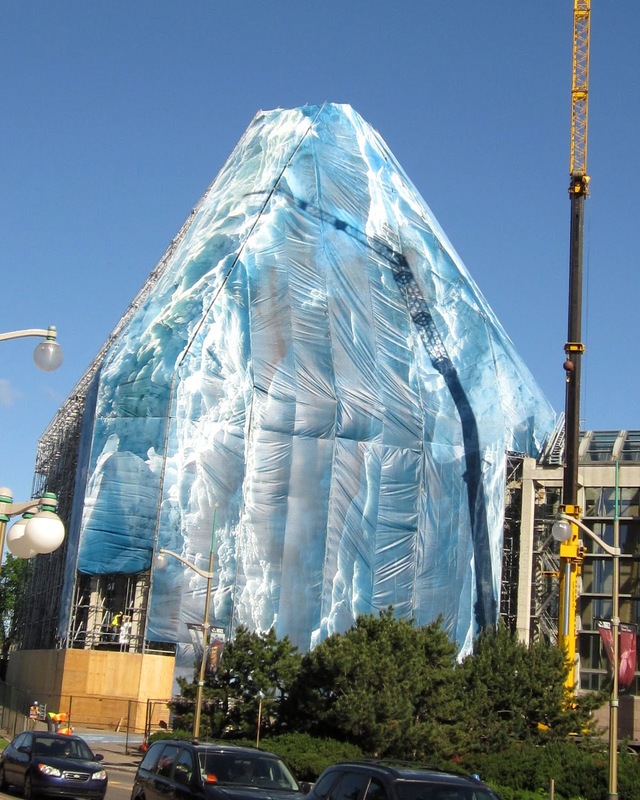 I checked online to see if I could find an explanation about why they are hanging tarps with a picture of a waterfall over the scaffolding and apparently this is a "surprise piece of art" to complement the show going on in the gallery right now called Sakahàn. Highly recommended if you come to Ottawa. In the meantime, every day I enjoy walking past and seeing the progress as they put up more pieces to finish installing this beautiful, unexpected work of art.